Is ABC Setting the Scene for a Return of AMC and OLTL? One of the SOS groups who’s shown a commendably inexhaustible commitment to making sure we see All My Children and One Life to Live back on our screens in some format, Facebook group “Save AMC and OLTL,” has some more tasks fans can perform to see those canceled soaps return. 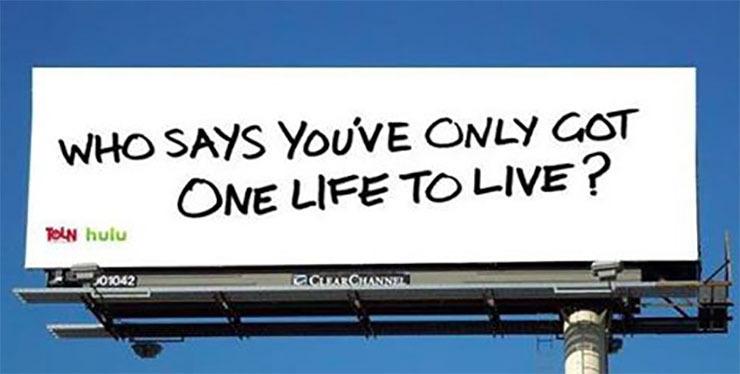 Who Says We Only Have One Life to Live, Indeed? “1. When Nora [Hillary B. Smith] stated she was going to see her husband, Liv told her to tell that old cowboy hi. Remember–Tonja Walker also played Alex on OLTL and knew Bo (Robert S. Woods) and Nora (Hillary B. Smith). 2. Valentin [James Patrick Stuart] and Nora discuss her being there in six months when the case goes back to court. FGM points out soap writers don’t simply add dialogue for the sake of random coincidence. If Nora is due back in Port Charles six months from March, that makes her returning in September, TV pilot season. With her mention of Llanview, and Liv’s mention of Bo, ABC could be setting the stage for an OLTL resurrection in some format to come in September. And AMC would then, we hope, not be far behind. Also, take a look at the intriguing Tweet by the official account for General Hospital below! SAO and FGM rightly point out GH fans, even those who haven’t been fans of that show until now, but who want AMC and OLTL back, should watch GH. You could even watch it in your preferred format, then turn it on and let it play in another, say Hulu, iTunes, etc. What we AMC and OLT fans also need to do is, as FGM points out, act. See SAO’s full Facebook post on this topic below to find the names and contact info to use to make in known we loved a little bit of Llanview in Port Charles and look forward to AMC and OLTL coming back to us. And let’s get tasking!